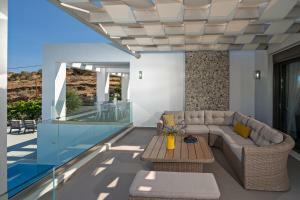 Located in Panormos Rethymno, Villa Eolia provides accommodations with a private pool and free WiFi. With sea views, this property has a terrace. The villa features 6 bedrooms, a kitchen with a dishwasher and an oven, a washing machine and a bathroom with free toiletries. A flat-screen TV with satellite channels is featured. Languages spoken at the reception include Greek and English. Villa Eolia has a seasonal outdoor pool. There's a grill at this property and guests can go snorkeling and fishing nearby. 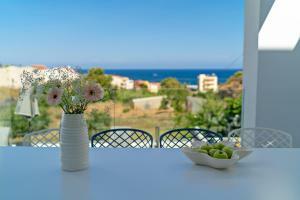 Bali is 8 miles from the accommodation, while Rethymno is 15 miles from the property. The nearest airport is Nikos Kazantzakis Airport, 38 miles from Villa Eolia. When would you like to stay at Villa Eolia? This villa has a balcony, seating area and barbecue. My dear guests, my name is Valia Kokkinou and Ι am the founder of ThinkVilla. After many years of studies in Glion Hotel Management school and exploring the world, I feel very fortunate to have joined some of the worlds most luxurious hospitality brands, such as Leading Hotels of the World. When I took the decision to return to my birthplace, the wonderful town of Rethymno in Crete, I decided to start my own vacation rental company. 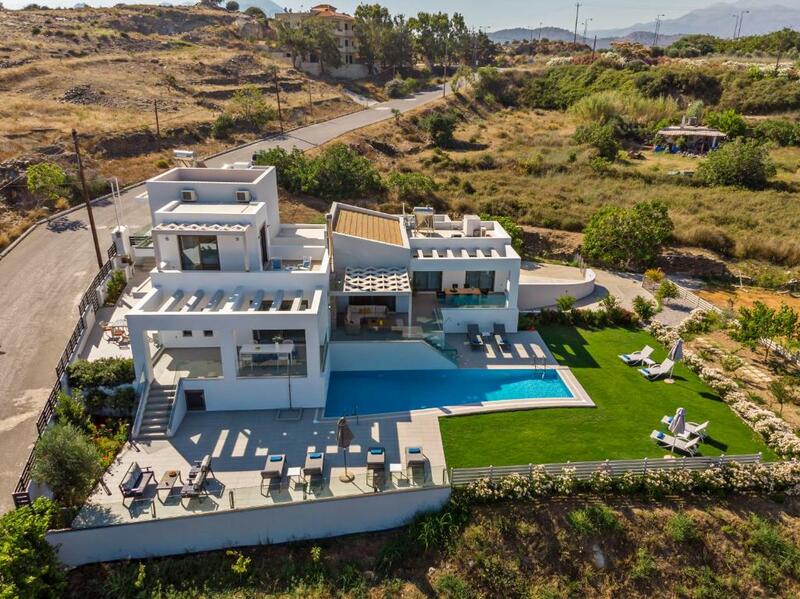 ThinkVilla was launched back in 2009, filled with my love & passion for the hospitality industry & today it proudly counts more than 110 properties in its portfolio, and since our beginning we have welcomed over 20.000 visitors to Crete. We are a team of four “family members” together with Marianna, Despina & Nikki. We have chosen to specialize within the hospitality villa industry by offering only experiences of exceptional quality. Our Vision is to fill the earth with the light and warmth of hospitality –by delivering exceptional experiences – every villa, every guest, every time. Our Mission, to be the most hospitable Villa company in Greece – by creating engaging experiences from our heart. Villa Eolia is located in Panormo, a friendly sea side village and is within walking distance to its well known sandy beaches. The two main beaches are Limanaki and Limni. Both of them are sandy with clear blue water and ideal for kids, as they are shallow and well protected from winds. The beaches are organised and equipped with sun beds & umbrellas. Water sports are also available. The harbour beach in front of the village is the port of the area, where the boats tie up, this beach is unorganised. The village has all the facilities and amenities one would need : well-stocked mini-markets, post office, pharmacy, a doctor’s office, a butcher's shop, bakery (hot, fresh bread every morning from 9 am), various gift shops and traditional seaside shops at very reasonable prices. Further, there is a good selection of cafes and excellent traditional tavernas, overlooking the harbour and the sea, which offer a warm welcome and a beautiful setting to enjoy some traditional Cretan food, fish as well as international dishes. Panormo has regular bus itineraries every 30 minutes that connects Heraklion and Chania cities. House Rules Villa Eolia takes special requests – add in the next step! Please note that the swimming pool operates from late March until mid-November. We need at least 5 reviews before we can calculate a review score. If you book and review your stay, you can help Villa Eolia meet this goal.